We Will Never Forget ! This image was taken at the “Garden of Memories” near Newtown, PA. 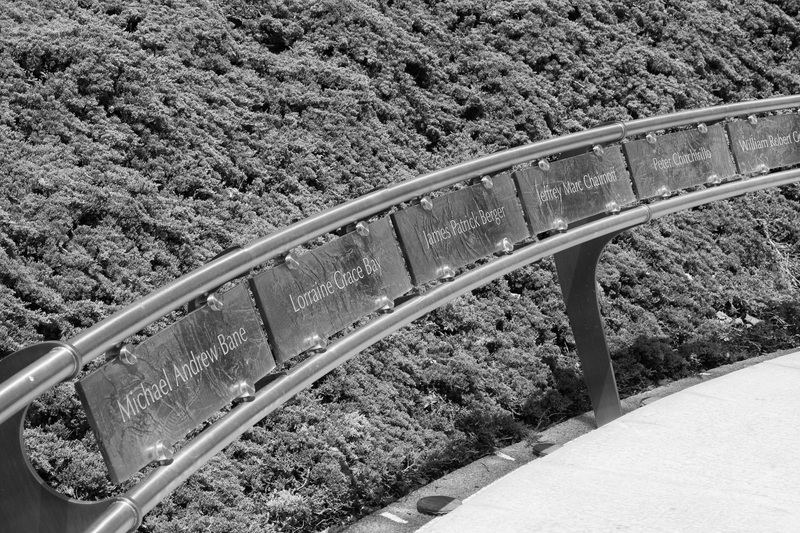 The Gardens memorialize the 9/11 tragedy. Along its spiral walk it memorializes the 2973 people killed, the the 58 Pennsylvania victims, the 42 children from Pennsylvania who lost a parent, and the 18 Bucks County victims. On the inner ring of the spiral, the Bucks County victims are etched in glass. It is a quiet and peaceful place. A place to walk, sit, and reflect. Remember … on this Memorial Day! This entry was posted in B&W Photography, Sculptures and tagged Bucks Co., curves, garden, sculptures on May 25, 2015 by kgrafphoto.